Standing since the 1930s as one of the most enduring landmarks on the London skyline, Battersea Power Station is currently undergoing a spectacular mixed-use redevelopment. Set to bring a £20 billion economic uplift in its wake, the Battersea project encompasses 1.25 million square feet of office space, 250 shops and restaurants and two new tube stations, creating 20,000 new jobs in what will be London’s newest, most vibrant neighbourhood. A key planning condition for this iconic renovation project was the repair of 348 linear metres of river wall. Today, flood defences that date back to the 1850s are showing the ravages not only of tide and time but of an infestation of Buddleia, which has overrun a significant stretch of their length. Aggressive and invasive, this perennial shrub outcompetes native vegetation, taking a vice-like foothold in walls and causing deep, extensive damage. Producing up to 10 million highly dispersible seeds each winter, once established Buddleia is extremely difficult to eradicate. 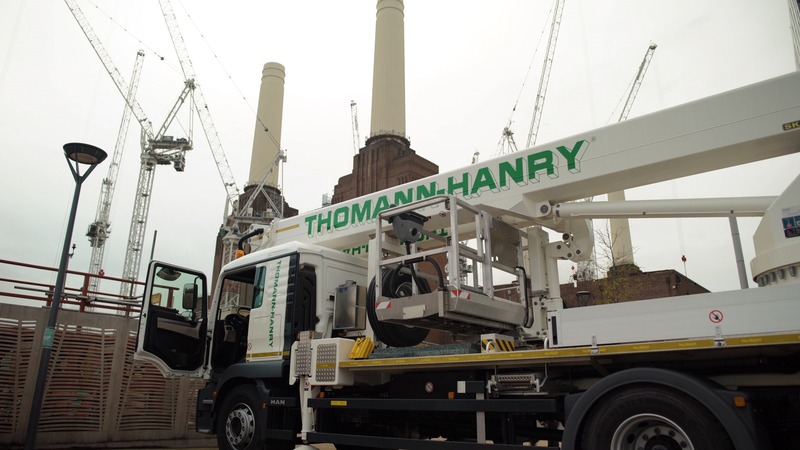 The services of London-based property restoration experts Thomann-Hanry® were enlisted to tackle the task of eliminating the Buddleia and rebuilding the damaged river wall. Undertaken in the past, mere pruning was not an option – cutting the plant back simply results in stronger root re-growth the following spring. Instead, a more robust and complete solution was called for. over the original Roman Cement wall installed by the Victorians.